Lori Grimes, as she appears in the comic book series (left) and as portrayed by Sarah Wayne Callies in the television series (right). Lori Grimes is a fictional character from the comic book series The Walking Dead and is portrayed by Sarah Wayne Callies in the American television series of the same name. Created by writer Robert Kirkman and artist Tony Moore, the character made her debut in The Walking Dead #2 in 2003. In both forms of media, she is the wife of protagonist Rick Grimes and mother of Carl and Judith. The character escapes the zombie apocalypse with Carl, and Rick's partner Shane Walsh. Believing her husband to be dead, she starts a relationship with Shane. For her performance as Lori, Callies was nominated for the Saturn Award for Best Actress on Television in 2010, and was among the cast members of The Walking Dead winning the Satellite Award for Best Cast - Television Series in 2012. 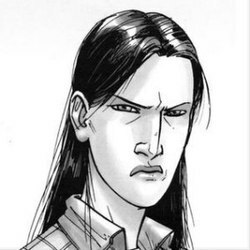 Lori, as depicted in the comic book series. Lori soon finds out, after counting her missed periods, that she is pregnant; however, she hesitates to tell anybody until after Shane's death and their move back onto the road. Lori faces typical pregnancy issues such as morning sickness and mood swings throughout the first few months of her term. She and everyone else find relative stability at an abandoned prison, with hot showers, supplies, and security. [volume & issue needed] While at the prison, she also begins to deepen her bond with fellow survivor Carol Peletier. [volume & issue needed] Lori is frequently concerned with the well-being of both her family and the rest of the group. After giving birth to an infant girl that she and Rick name Judith,[volume & issue needed] she remains extremely protective over her. Lori's husband Rick is wounded in the line of duty and left in a coma during the outbreak. Lori, believing him to be dead, takes Carl and accompanies Rick's best friend Shane as they head to Atlanta. They befriend Carol and her family while on the road, and later both groups settle with other survivors on the outskirts of Atlanta near an abandoned quarry. Lori, convinced of Rick's death by witnessing the military bomb Atlanta, eventually succumbs to her distraught state and embarks on a sexual relationship with Shane. Rick eventually wakes from his coma, and makes his way to Atlanta, and rescued there by members of the quarry group. When Rick is brought back to the camp, he and Lori have a tearful reunion. However, Lori comes to feel guilty with her affair with Shane, and abruptly ends it, as well as discouraging Carl from hanging around Shane. The group eventually abandons the quarry to head for the CDC in Atlanta, where its one remaining scientist, Dr. Jenner, allows them in, and they enjoy the relative luxury of the facilities. During the night, a drunken Shane attempts to sexually assault Lori, but she fights him off. The group is forced to evacuate the CDC and continue on. Rick's group is stalled by a traffic jam of cars on a highway; the RV breaks down and the group searches the traffic jam for parts and supplies. Shane tells Lori at this that he plans to leave the group, and they get into an argument. Carol's daughter, Sophia, goes missing in the midst of a passing walker herd. Rick, Carl, and others go searching for her, and eventually split into two groups with Rick, Shane, and Carl in one and Lori, Andrea, Carol, and Daryl in the other. Lori's group is headed back to the highway when they are met by Maggie Greene from a nearby farmstead, asking for Lori, as Carl had accidentally been shot, and is being cared for by her father, Hershel. While Hershel is able to stabilize Carl, he lacks the equipment to remove the bullet. Shane goes with Hershel's farmhand, Otis, to get supplies from a nearby school infested with walkers. Shane shoots Otis deliberately to give himself time to escape, but does not tell this to the others when he returns with the supplies. This leaves him with an emotional scar, and he shaves his head, partially to hide the clump of hair Otis had torn out from it; these actions trouble Lori. Lori feels some illness as Carl recovers, and discreetly asks Glenn to find a pregnancy test on his next supply run. The test turns up positive, and Lori fears that her child may be Shane's and not Rick's. Again she confides in Glenn about this, and asks him to get her some "morning after" pills on his next run. Once she has them, she tries to take them, but has last-second thoughts and spits them out. Rick discovers the box for the pills and confronts her about it. She admits to being pregnant, and having an affair with Shane when she had no idea Rick was alive, and fears how they can raise a child in this world. Rick helps her come to terms with the situation, and she decides she will keep the child and she and Rick will raise it as their own, regardless of who the father is. Lori's pregnancy comes out to the rest of the group, and creates a rift between Shane and Rick over who fathered the child that creates tension throughout the group. After the shootout at the barn, Rick and Glenn go off to look for Hershel but don't return after a while. Concerned, Lori goes to look for them but gets into an accident. Shane comes and rescues her, claiming Rick had returned, thus giving Shane the time to talk about his true feelings for Lori, and that they should be together. Once back at the farm, Lori talks to Dale, learning that he feels Shane is progressively becoming paranoid and he believes that Shane likely killed Otis at the school. Later, Lori helps Maggie stop Maggie's sister Beth from committing suicide. When Dale is attacked by a walker and the group forced to euthanize him, Lori apologizes to Shane for how she had been treating him. Events at the farm lead to a confrontation between Rick and Shane, and Rick eventually stabs Shane to death after Shane promises to kill Rick and take his place in the family. In the aftermath, a horde of walkers, drawn by the gunfire, swarm the farmstead, and Rick's group is forced to abandon it. As they regroup on the highway, Lori learns of the circumstances around Shane's death, and is horrified to learn that Carl put him down after Shane reanimated. Over the next several months, Lori finds that both Rick and Carl have grown distant from her. Lori is near the end of her pregnancy as the group finds an abandoned prison they decide to clear out for their own. They deal with roaming walkers as well as five living prisoners, two who quickly fall into line with the group, but the others they are forced to kill, while Rick leaves the fifth, Andrew, outside in a pack of walkers, though unknown to them, Andrew manages to escape. Lori fears that the baby may have rotated in her womb to make normal childbirth impossible, and has the group practice Caesarean section on dispatched walkers. Sometime later, Andrew lures a group of walkers back to the prison to get his revenge. The group is forced to scatter as the walkers flood; the fright causes Lori to enter into labor, and she, Carl, and Maggie take shelter in a boiler room. Lori's fears are affirmed about the birth, and she instructs Maggie to perform an improvised Cesarean section on her, knowing that without painkillers or anesthetic, this will likely be fatal for her. She says her goodbyes to Carl before Maggie starts. Lori's daughter is recovered alive, but as she expected, Lori succumbs to the procedure. Carl insists on being the one to put down Lori before she can reanimate. Maggie and Carl take the baby outside once the walkers have been cleared, and Rick, on seeing the child but not Lori, breaks down. He races to the boiler room, and sees a bloated walker that he believes ate Lori's body, and stabs it over and over. Rick starts having hallucinations of Lori and other survivors that had previously died, leading to him struggling to keep leadership of the group. As the group deals with attacks from The Governor from the nearby Woodbury community, Rick struggles with continuous visions of Lori, which makes him doubt his abilities as a leader. However, he eventually makes a stand against the Governor, reunited his group, and finds that he no longer sees visions of Lori. He accepts her daughter, which Carl named Judith, as his own, despite believing that she may have been fathered by Shane. Lori Grimes is portrayed by Sarah Wayne Callies, who was cast in the series in April 2010. Callies saw an issue of the comic book series while at a bookstore in Vancouver. "I was looking through for the latest issue that had just come out and the owner of the comic book store came up to me and said, 'I see you're checking out The Walking Dead," she stated. "It's amazing.' I said, 'Yeah, I'm a huge fan.' And he said, 'You know they're making a television show for AMC. It's supposed to be really good.' I kind of looked at him and I froze. I just went, 'I'll keep an eye out for it.' And I ran out of the store." In the comics, Kirkman resolved the love triangle between Lori, Shane, and Rick very quickly, but in the TV show he decided to spend more time exploring this relationship. Callies was in favor of Lori dying while in the Prison, just like the comic character. In an interview she stated, "I argued that it was necessary to kill Lori and I feel very strongly that for all of the other deviations we may have from the comic book, killing Lori does something to Rick that is vital for the story and can't be done any other way." 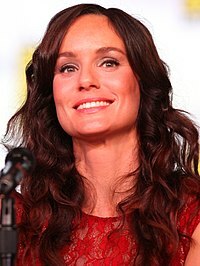 Sarah Wayne Callies' performance received mixed reviews while the character of Lori received generally negative reviews. Regarding the television adaptation of the character, Lori received generally negative reviews, with Sarah Wayne Callies' performance receiving a mixed response from critics. Critics were polarized with the characters' reaction to Lori opting for an abortion in the episode "Secrets". Writing for The A.V. Club, Zack Handlen criticized the character's opposing views on the matter, and stated that their reasoning was invalid. Handlen wrote. "I'm not even sure it would be possible for her to abort the pregnancy at this point, but the show's working on the assumption that having a child in a world where death literally lurks around every corner is an unequivocal good. The only person who’s been anti-pregnancy is Lori, and the show hasn't managed to cast her in a very good light, so it’s not like her arguments hold much water—which is also ridiculous, because ultimately, her opinion is the only one that matters." HitFix writer Alan Sepinwall reflected similar thoughts, and stated that Rick's arguments against Lori's attempts were obsolete. The love triangle involving Lori, Rick, and Shane, however, was commended. Meslow felt that the interactions between Lori and Rick possessed "as much rawness and honesty as could be hoped for." Commentators criticized the character development of Lori Grimes in the episode "Nebraska". Eric Goldman for IGN was angry upon viewing the crash sequence, avouching that it stunted any development intended for the scene. He stated, "The Walking Dead really needs to work on strengthening its female characters, and it doesn't help when Lori has a major accident for such a stupid reason, getting distracted as she looked at a map while she drove. Yeah, yeah, there was a zombie in the road, but it could have been an animal [...] just as easily, and it really undercut the intended drama of her situation when it just seems so stupid that it happened at all." Zack Handlen for The A.V. Club thought that the foundation set up for furthering the storyline progression was contrived, while Aaron Rutkoff of The Wall Street Journal said that the premise of the dilemma made no sense. Critics were divided upon the interaction between Rick and Lori after she discovers Shane had died. Commentators were critical of the performance of Sarah Wayne Callies. Although The Huffington Post's Maureen Ryan reacted positively to Lincoln's performance, she affirmed that the contradictory nature of Lori almost ruined the scene. Similarly, New York's Starlee Kine criticized Callies' facial expressions during the sequence. Josh Jackson, who writes for Paste wrote, "If that was a challenge from the writers, though, Sarah Wayne Callies has to feel like they're just messing with her at this point. Her character, Lori, basically tells Rick that Shane needs to be put down, and then treats him like a monster when he’s forced to follow through with it." The fates of Lori and the character of T-Dog in the episode "Killer Within" garnered favorable reviews from television commentators. According to HitFix writer Alan Sepinwall, the moment when Lori and Carl share their goodbyes was the most heartbreaking event since the ending of the second season episode "Pretty Much Dead Already". Los Angeles Times columnist Laura Hudson felt it was a grim departure for a character who endured long bouts of grief for reasons beyond her control. Erik Kain from Forbes magazine found Lori's death especially difficult to watch, and was shocked by T-Dog's "sudden" death despite the fact that he "was never as prominent a figure" on the program. "As hard as these deaths were to watch," Kain wrote, "they also give me faith in the show." Even though he stated that T-Dog died "a hero's death", Michael Rapoport of the Wall Street Journal concluded that Lori's "gut-churning" demise was the more memorable. Lori's demise was featured in The Huffington Post's list of "The Biggest 'OMG' TV Moments of 2012", and placed nineteenth in Slate's article covering the year's most noteworthy television moments. Journalist Chris Kirk said that the segment was "utterly surprising", and pointed out that the writers beguiled viewers by shedding light onto Lori's crumbled relationship with Rick. In contrast, Zack Handlen of The A.V. Club in his review felt the episode "stumble[d]" in how [...] Lori [was] eliminated and in how the Woodbury storyline repeated what was already known. Handlen commented in his B+ review that "killing [...] Lori earned the show an immediate thrill, but it also meant crossing off [a] potential source[...] of drama, [someone] who had a history on the series, however thin or poorly developed that history might have been." Sarah Wayne Callies' performance in the episode was unanimously praised, however. IGN writer Eric Goldman commended Callies Sepinwall added that Callies "absolutely sold" the portrayal of a mother saying "goodbye to the son who had to grow up much too quickly". ^ Patrick, Andy (April 30, 2010). "Exclusive: Sarah Wayne Callies Joins 'Walking Dead'". Entertainment Weekly. Time, Inc. Retrieved March 2, 2012. ^ Fall, Christina (November 15, 2010). "Q&A - Sarah Wayne Callies (Lori Grimes)". AMC. Archived from the original on February 17, 2012. Retrieved March 2, 2012. ^ Collis, Clark (November 1, 2010). "'The Walking Dead': Comic book series creator Robert Kirkman answers our questions about last night's shocking pilot". Entertainment Weekly. Time, Inc. Retrieved March 4, 2012. ^ Handlen, Zack (November 20, 2011). "Secrets". The A.V. Club. The Onion. Retrieved January 9, 2012. ^ a b Sepinwall, Alan (November 20, 2011). "Review: 'The Walking Dead' - 'Secrets': Target practice". HitFix. Retrieved January 9, 2012. ^ Meslow, Scott (November 21, 2011). "On 'The Walking Dead,' Love in the Time of Zombies". The Atlantic. Jay Leuf. Retrieved November 28, 2011. ^ Goldman, Eric (February 12, 2012). "The Walking Dead: "Nebraska" Review". IGN. Retrieved February 20, 2012. ^ Handlen, Zack (February 12, 2012). "Nebraska". The A.V. Club. The Onion. Retrieved February 12, 2012. ^ Rutkoff, Aaron (February 13, 2012). "'The Walking Dead,' Season 2, Episode 8, 'Nebraska': TV Recap". Wall Street Journal. Les Hinton. Retrieved February 20, 2012. ^ Ryan, Maureen (March 18, 2012). "'The Walking Dead' Finale Recap: The Best Episode Since The Pilot?". The Huffington Post. Arianna Huffington. Retrieved March 24, 2012. ^ Kine, Starlee (March 19, 2012). "The Walking Dead Recap: Action at Last". New York. New York Media. Retrieved March 24, 2012. ^ Jackson, Josh (March 19, 2012). "The Walking Dead: Review Beside the Dying Fire". Paste. Wolfgang's Vault. Retrieved March 24, 2012. ^ Sepinwall, Alan (November 4, 2012). "Review: 'The Walking Dead' - 'Killer Within': Hard labor". HitFix. Retrieved November 15, 2012. ^ Hudson, Laura (November 5, 2012). "'Walking Dead' recap: No more kid stuff". Los Angeles Times. Tribune Company. Retrieved November 15, 2012. ^ Kain, Erik (November 4, 2012). "'The Walking Dead' Review: Because I Could Not Stop For Death". Forbes. Forbes Publishing. Retrieved November 15, 2012. ^ Rapoport, Michael (November 5, 2012). "'The Walking Dead,' Season 3, Episode 4, 'Killer Within': TV Recap". Wall Street Journal. Les Hinton. Retrieved November 15, 2012. ^ "Brody's 'Homeland' Tape, Lane's 'Mad Men' Death And More: The Biggest 'OMG' TV Moments Of 2012". The Huffington Post. Arianna Huffington. December 27, 2012. Retrieved January 11, 2013. ^ Kirk, Chris (December 27, 2012). "2012: The Year in TV Moments". Slate. The Slate Group. Retrieved January 11, 2013. ^ Handlen, Zack (November 4, 2012). "Killer Within". The A.V. Club. The Onion, Inc. Retrieved November 4, 2012. ^ Goldman, Eric (November 4, 2012). "The Walking Dead: "Killer Within" Review". IGN. Retrieved November 5, 2012.